Should Women Invest in "Woman only" Financial Products? It’s March 8, the international women day and the newspapers are splashed with various offers especially applicable for women! Banks and other financial institutions are not behind and have lined up offers and products just for women. You would be hard pitched to invest or buy those products but should you? We take a look into what’s on offer and how being women gives you an upper hand financially? Some banks and companies offer exclusive fixed deposit for women offering higher interest rates. Repco Bank is offering Repco Mahila fixed deposit scheme exclusively for women offering interest of 7.80% for tenure of 18 months. This is 0.1% higher than their regular fixed deposit for non-senior citizens. The maturity value for 1 lakh deposit would be Rs 1,16,707 for women while Rs 1,16,478 for others – a gain of Rs 229 over 18 months! Similarly DHFL offers Swayamsidha Deposit Scheme for women which offers 8.50% for 18 months fixed deposit. Though the gains are marginal it does not hurt to get this just for being woman. The fixed deposits on offer is not available for all tenures. So do NOT invest in them just because the offer is especially for women. Select the maturity tenure that suits you. The life expectancy of women is higher than men and this reflects in the premiums paid for life insurance policies. All parameters remaining the same, some life insurance companies charge lower premiums from women. The discount on premiums can go up to 15%. The premium for Aegonlife iTerm Life Insurance Plan for Rs 1 crore insurance for 30 Year old for tenure of 30 years Non Smoker is Rs 485 per month for women and Rs 588 for men. So women get a discount of 17% which is great! Is it Real Benefit? Yes this is great benefit. But remember NOT all insurance companies have such discounts for women. We checked LIC e-term and the premium were same for both men and women. Women-specific health covers don’t offer any discount on premium, but they do cover ailments and provide services that can be of value to them. Tata AIG General Insurance’s Wellsurance Policy covers Cosmetic Reconstruction Surgery benefit for accidental injuries. Bajaj Allianz General Insurance offers a standalone critical illness policy for women. Women Specific Critical Illness policy, a defined benefit plan, covers women-specific cancers along with burns, paralysis and multi-trauma. Instead of looking at women-specific critical illness plans that cover a fixed range of ailments, opt for a policy that covers the maximum number of ailments possible. Any critical illness policy that covers cancer will cover all women-related cancers as well. Most government owned banks offer concessional rate of interest to girl students on their education loan. The discount is generally in the range of 0.25% to 1%. State Bank of India (SBI) and Bank of Baroda offers 0.50% Concession in rate of interest to loans for girl student. On education loan of Rs 5 lakh for 5 years, SBI offers 10.05% for girl students and 10.55% for male. The EMI turns out to be Rs 10,636 for girls and Rs 10,759 for boys – a saving of Rs 123 per month! Most banks and housing finance companies offer discounted rate of interest on home loans if the owner is woman or joint-holder in property. 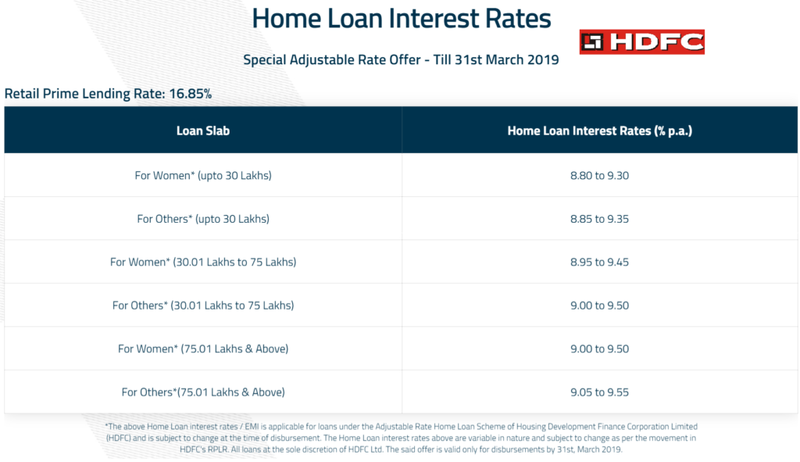 The biggest players in Home Loan – SBI and HDFC offers 0.05% discount to women. On a home loan of Rs 50 Lakh for 20 years, HDFC offers 8.95% for women and 9.00% for men. At this rate the EMI for women would be Rs 44,826 Vs Rs 44,986 for men. A saving of Rs 160 per month. Is it Real Benefit? The benefit is just notional and seems more like marketing gimmick than substance! 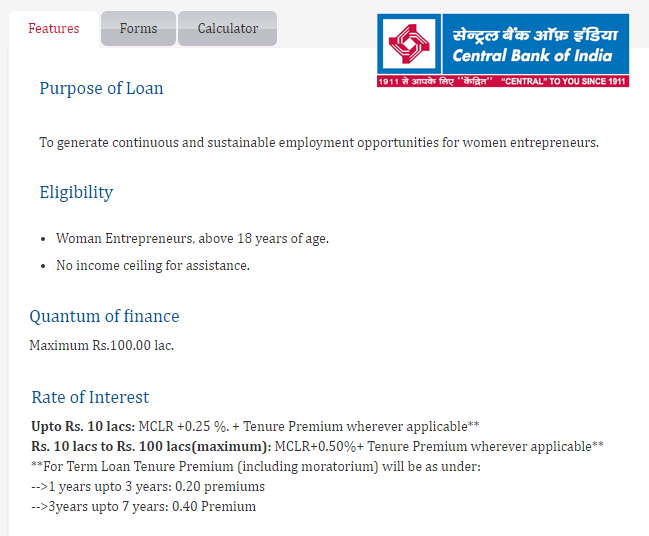 Some banks and financial institutions have special loans for women entrepreneurs only. Central Bank of India under its Cent Kalyani scheme gives loans of up to Rs 1 crore to women to set up small business. Few banks offer loans for women to buy gold jewelry. For instance, Bank of India has a Star Mahila Gold loan scheme. As far as special loans for women go, government- owned and cooperative banks have more to offer. Almost all banks have launched special bank accounts and debit cards exclusively for women. The linked debit card usually come with better reward points and may get you discount coupons at select shops (specific to women). ICICI bank’s Advantage Woman Savings Account offers Comprehensive Premium for Life + Accidental Death + 34 Critical illness cover. It also has offers like 60% off on Women’s Preventive Health Package from Thyrocare or 30% discount on first year locker fees. Federal Bank allows free NEFT and RTGS transfer to its Mahila Mitra account holders. A few banks, including Axis Bank, IDBI Bank and ICICI Bank have savings accounts, which have women-specific features such as zero balance requirements. Corporation Bank’s Mahila- Power 3-in-1 savings account offers a personal loan and insurance cover of Rs. 1 lakh. Is it Real Benefit? I don’t think so as most premium saving accounts have these features in some form. Banks are also designing premium cards with women specific features. For instance, HDFC Bank Ltd’s Solitaire Premium Women’s Credit Card Range. These cards apart from reward points on spending on apparel and dining, offers free health check-up package from Thyrocare (for Solitaire) and from Apollo (for Solitaire Premium). Is it Real Benefit? I don’t think so as most premium credit cards have these features in some form. Transfer of property is subject to stamp duty in the country. It is a tax you pay to the state government when you buy a property or get a property transferred in your name. The stamp duty rates vary from state to state. However, for women, the rate is less than that for men. Even when the woman is a co-owner in the property, the discount is available. For instance, in Delhi, a woman needs to pay a stamp duty of 3% compared with 5% for men, and 4% if a woman is a co-owner. Thus if your apartment costs you Rs. 50 lakh, you would have to shell out Rs. 1.5 lakh as stamp duty if you are woman compared with Rs. 2.5 lakh that a man would have to pay and Rs. 2 Lakh in case of joint registration. The benefit of lower stamp duty can be availed even when the property is transferred by way of gift. Stamp duty has to be paid even when the property is being converted from leasehold to a freehold. Is it Real Benefit? Yes it’s a great saving opportunity. This is done to encourage house ownership for women. Until FY 2011-12 there used to be higher tax exemption limit for women as compared to men. This advantage is gone now and both men and women have same tax structure! “Woman Day” is a celebration of womanhood and an opportunity for everyone to showcase and sell their products. Do NOT get confused as most “Products or Investment” pitched as “especially for Women” are just marketing gimmick. Evaluate case-by-case and only go for those women-specific financial products that offer real value. Go ahead and make use of the benefits as we wish you a happy women’s day!